We had the Home Office sports fest over the weekend at The Mills in Laguna. What a nice place! It is far from the main happenings around the area, and the grounds were big enough for the whole HO to descend and have games and lots of fun. We didn’t get to swim, though. Maybe next time. The HO was divided into 4 teams, with CFC FFL Laguna also fielding the 5th team. I was in Red, and Des was in White. Of course, spousal rivalry is always good! What bothered me, though, was there were special games for the “seniors” who they’d defined as 40 years old and above. AND I FIT IN THAT CATEGORY. I am so bothered. That I am already in a different category. 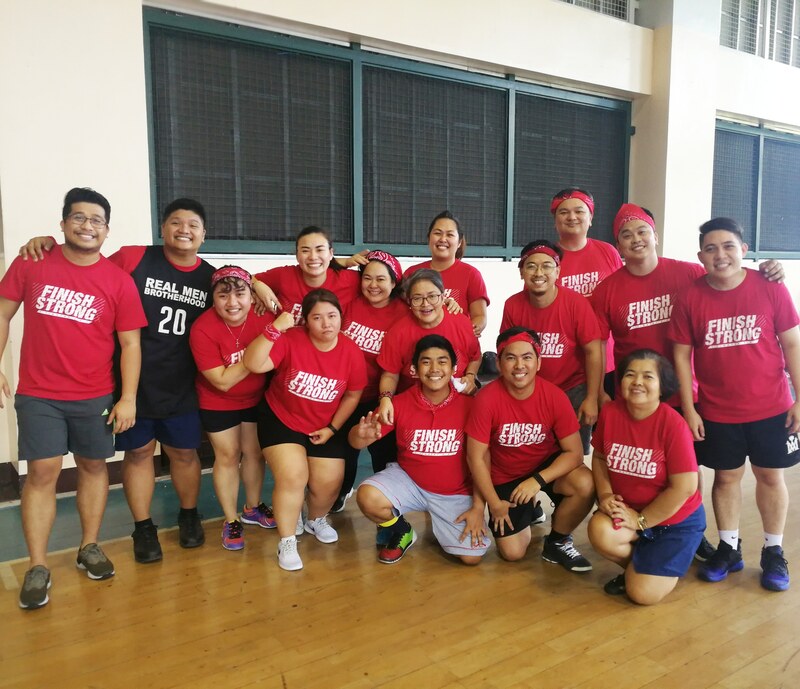 There were just 3 of us in that category in the Red Team (me, tita Mimi and tita Net) so we had to join all the senior games. This shot is my favorite. We didn’t win this game, though. I have to practice with this cookie thing more. Actually, I don’t think our team won any Sportsfest game at all. But we did win in the Christmas Party after. It was a lot of fun, and not having a sportsfest for a couple of years made everyone extra competitive. Here’s to having it more regularly!